This August, celebrate a half century of Marvel’s premier intelligence agency in one colossal issue! Today, Marvel is pleased to present your new look at S.H.I.E.L.D. #9 – the oversized anniversary special! 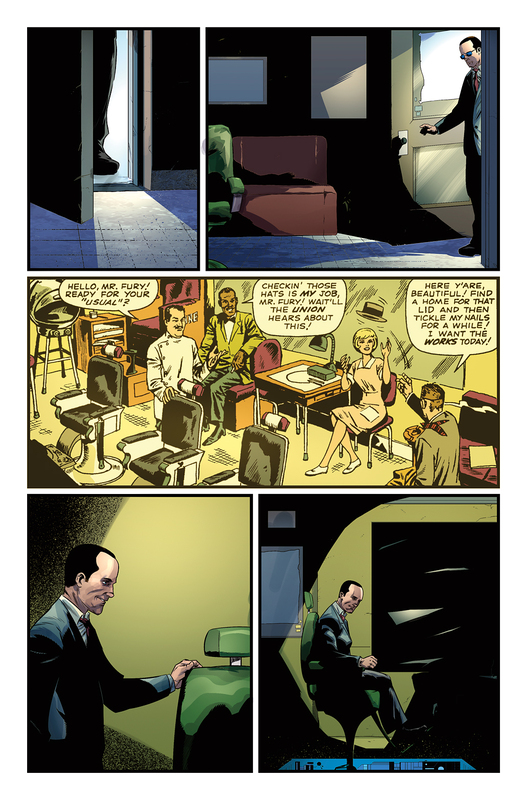 Be there when blockbuster writer Mark Waid and artist Lee Ferguson answer a question 50 years in the making. 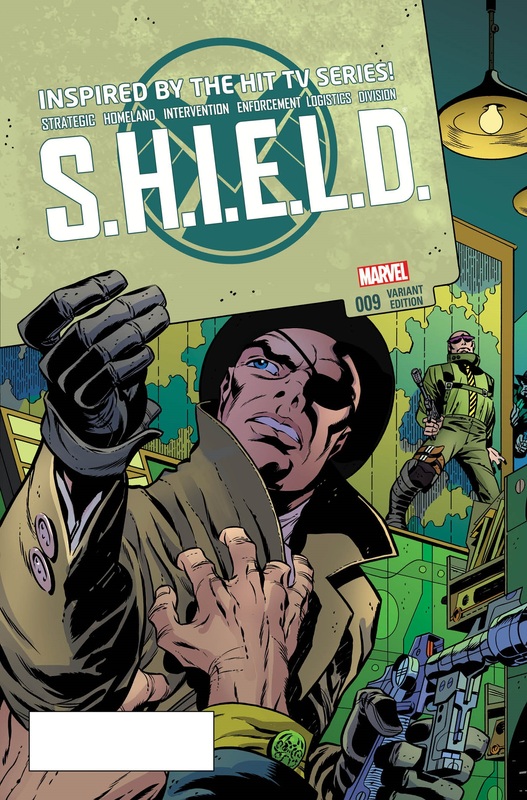 A question that lies at the heart of the creation of SHIELD – who is the “Man Called D.E.A.T.H.”?! 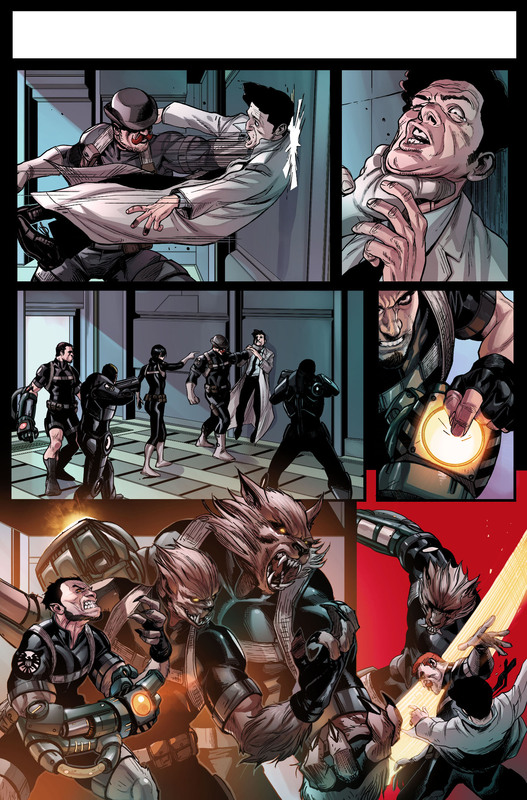 This full length story features a never-before-published S.H.I.E.L.D. sequence penciled by Jack Kirby and inked by Jim Steranko! 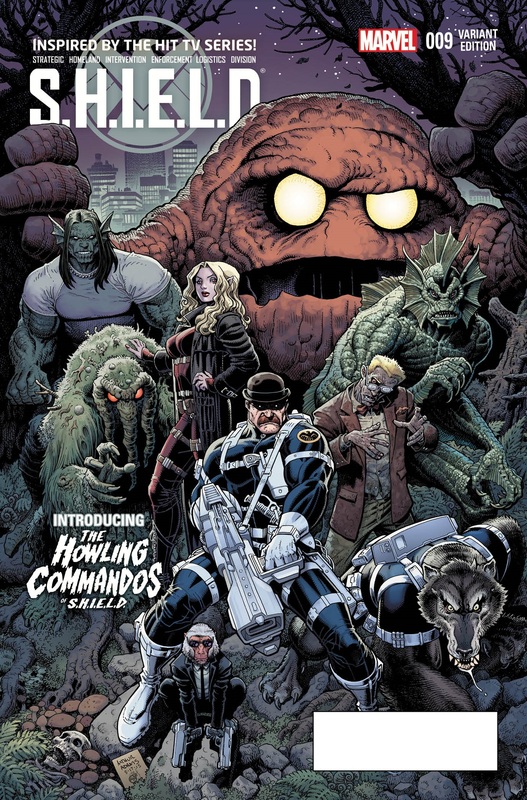 Then, Al Ewing and Stefano Caselli bring you the terrifying origin of the new Howling Commandos! 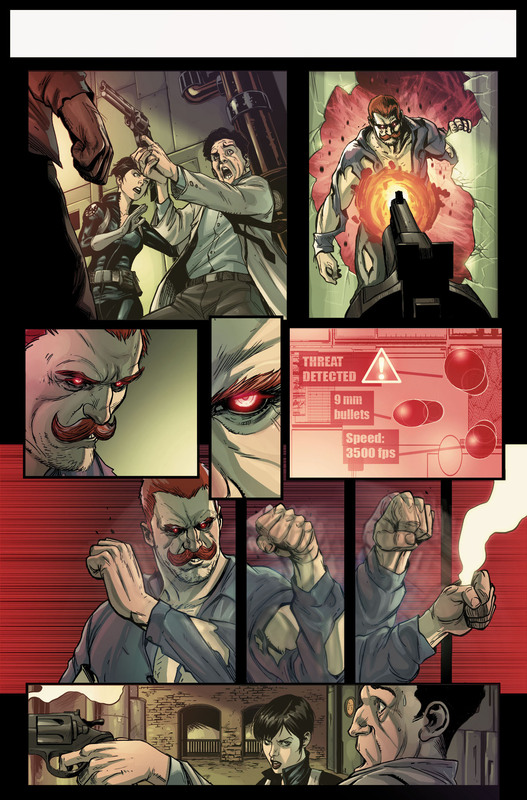 Before they spin out into their very own series later this year, witness the return of Dum Dum Dugan as he steps from the shadows to assemble a team truly unlike any you’ve seen before! 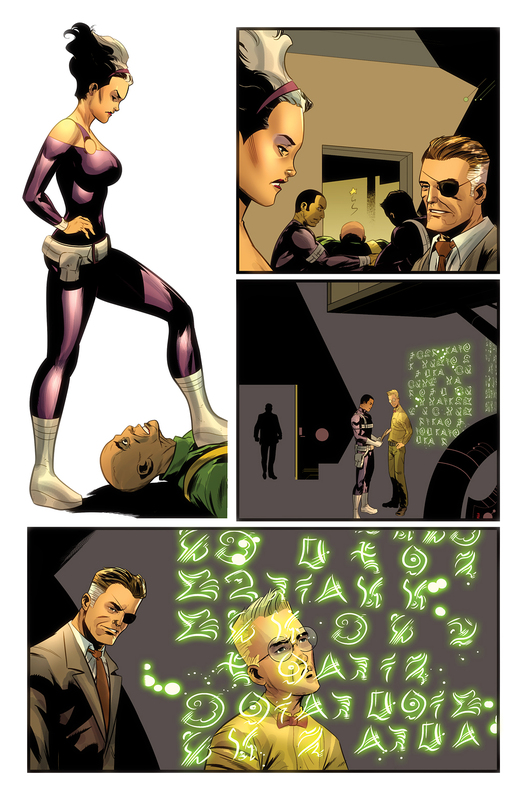 Rounding out this massive issue, S.H.I.E.L.D. 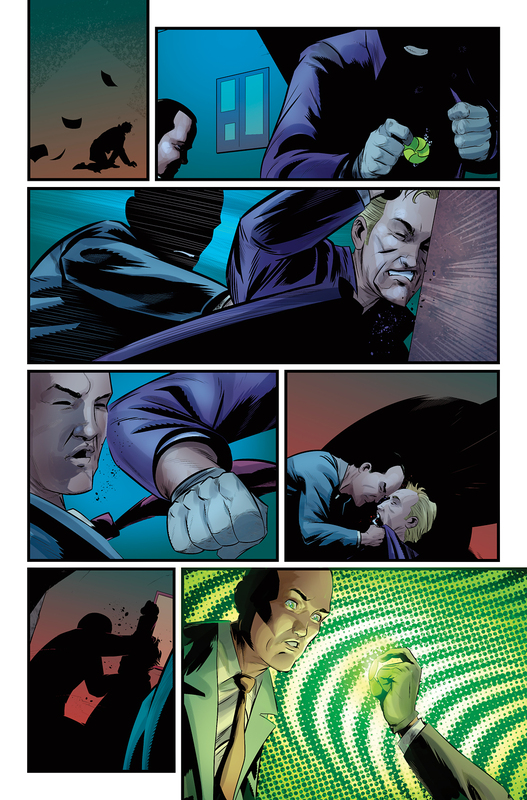 #9 also includes the very first S.H.I.E.L.D. story by Stan Lee and Jack Kirby! 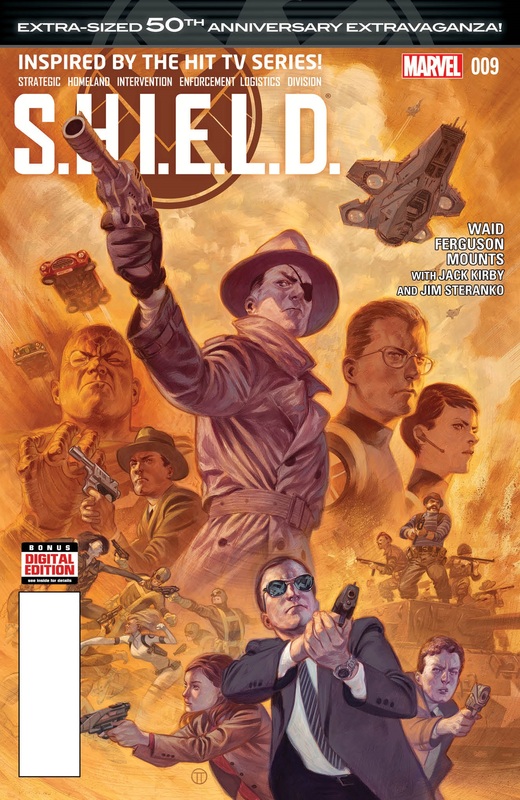 Be there as a half-century celebration of espionage and intrigue comes to comic shops this August in S.H.I.E.L.D. #9!